For nearly 5,000 years a rather unsightly Boswellia tree, which produces a heavenly fragrance was considered to be Arabia's most precious commodity. During the height of its popularity the Boswellia – better known as the frankincense tree - rivalled gold, silk and gems in value and spawned a vital trade route that for centuries extended from Southern Arabia into West Africa and India. In Oman's Dhofar region the Frankincense Trail created vast fortunes and frequently lured adventurers from afar including the Venetian explorer, Marco Polo and of more recent times, T. E. Lawrence – known throughout the history books as Lawrence of Arabia. So revered, it was also said that the Queen of Sheba built a palace in the ancient port of Samhuran (near present day Salalah) along the ancient trade route, where she would hoard large quantities for her own personal use. Throughout time, Frankincense equally imparted spiritual importance. The Roman Emperor Nero burned an entire harvest of frankincense during his wife's elaborate funeral. The Bible's New Testament also tells the story of the Three Wise Men presenting a gift of frankincense (along with gold and myrrh) to the baby Jesus. Still used in important ceremonies including religious festivals, frankincense also remains a symbol of Omani hospitality. Its fragrant resin is today burned throughout the Sultanate to welcome guests and its aromatic oil is one of the primary ingredients used in Oman's legendary perfume, Amouage – one of the most valuable scents in the world. Cultivated in Dhofar's arid region of Nejd and harvested just before the Khareef season (monsoon) begins frankincense is acquired when the tree reaches maturity and an incision is made in its bark, allowing its milky white sap to bleed and crystallise. In ancient times the Frankincense Trail was considered to be the most important commercial route throughout southern Arabia. The incense land trade from South Arabia to the Mediterranean flourished roughly between 7 B.C till approximately 2 A.D. The Incense Route served as a channel for the trading of goods such as: Arabian frankincense and myrrh; Indian spices, precious stones, pearls, ebony, silk and fine textiles; and East African rare woods, feathers, animal skins and gold. Oman was a hive of activity and a hub of unseen opulence. At the centre of the ancient trade was the Lost City of Ubar, the mythical place coined by T.E. Lawrence as the Atlantis of the Sands. Not only was Ubar believed to have been the commercial hub for trading Arabian horses the city was also used for storing and exporting the prized gum resin to the Greeks, Romans and Persians. Further confirming Oman's importance to the frankincense trade archaeologists recently unearthed a ruined settlement on the banks of nearby Khor Rawri, which featured a tableau dating back to the 1st Century, AD. The tableau's inscription bespoke of the ancient city of Sumhuran, which many historians believe was home to the port of Moscha, featured in The Periplus of the Erythrean Sea. Written nearly 2,000 years ago Periplus described the Roman Empire's vast maritime and commercial interests that extended to East Africa, Arabia and India and also highlighted the importance of the region of Sachalites (the port of Moscha) to the frankincense trade - where cargoes of frankincense would be bartered for wheat, cloth and sesame oil. From Moscha frankincense was shipped overland across Oman's rugged interior to the ancient capital of Hadhramaut and beyond into Egypt. Archaeological excavations that took place over a 10-year period from 1952-1962 additionally unearthed the old caravan routes buried beneath Sachalite's rocky landscape and undulating sands – now known as the Dhofar region. At the heart of Dhofar is Salalah, located on the southern misty coast of Oman– 1,000 miles from the capital, Muscat. A city steeped in the ancient myths and antiquities that surround the frankincense trade Salalah is likewise fringed with pristine beaches, shady palm trees and sun-kissed waters. During the Khareef season Salalah becomes a popular Omani summer retreat. "Salalah is truly one of the Arabian Gulf's best kept secrets, especially during the high summer," says Mona Tannous, Director of Oman Ministry of Tourism in Australia. From June through to September, swirls of rain-laden cloud and soothing moisture bathe the city and coast in pleasant temperatures. Dhofar is also unlike any region in the Arabian Gulf. The mists that come to shore during the Khareef shroud the coastline in lush hues of emerald green and jade and the monsoon rains turn the wadis into a spectacular display of waterfalls and rising streams. The downpour additionally gives life to plants and trees including the Boswellia. Salalah equally offers a wealth of outdoor activities, seasonal festivals (including Khareef Festival in July) and an array of cultural attractions including Al Husn Souq, famous for its prized sandalwood and frankincense trade and the Salalah Museum. Featuring a detailed exhibit of British agent and explorer Wilfred Theisger's photographs from his famous 1946 expedition across Rub Al Khali - the Empty Quarter, the Museum also showcases extracts from Theisger's book, Arabian Sands, which chronicled his travels with the Bedu tribesmen, who served as his companions. Recent archaeological excavations confirmed that Salalah's Haffa district also nurtured a vital trading community between the 12th and 16th centuries - from mosques, palaces and houses to elaborate tombs. And in the heart of Salalah, a fenced off region protects the 14 footprints of Prophet Mohammed's sacred camel, which have been embedded in rock. Other ancient antiquities in the region include Job's Tomb – the biblical prophet, Nabi Ayoub, long revered by Muslims, Christians and Jews - as well as the ruined citadel of Al Balid. Visitors not only view remnants of The Great Mosque, with 11 of its original 148 columns still standing, but also a series of gravestones that date back nearly 1600 years. On the shoreline of Khor Rawri – presently a sanctuary for migratory birds - are the ruins of Sumhuran that dates back to 3,000 BC. Alleged to have sheltered the summer palace of the Queen of Sheba Sumhuran - now a UNESCO World Heritage Site - was also once the commercial centre for storing frankincense and where the Queen shipped her precious resin cargo to King Solomon; an act that not only gained her entry to the King's royal court in Jerusalem but also helped perpetuate the myth surrounding their speculative love affair. 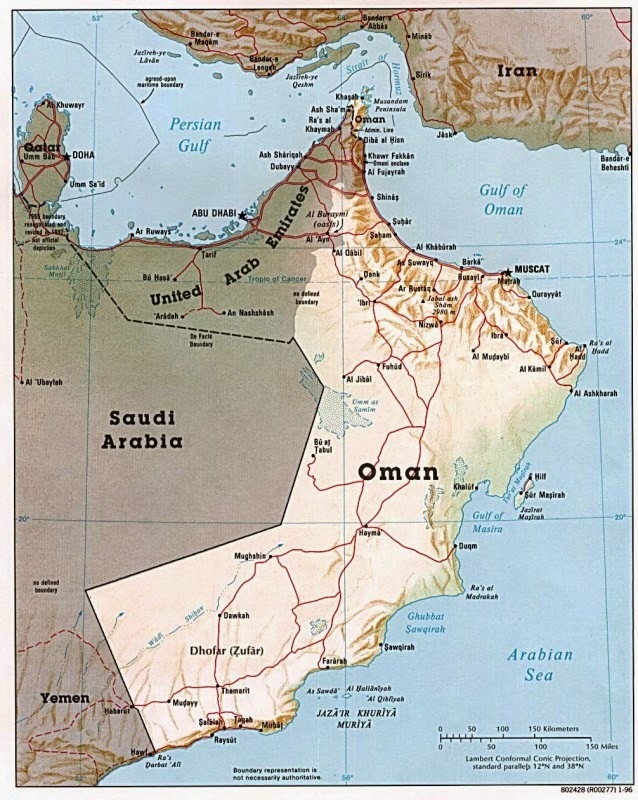 North of Salalah is the desolate region known as The Empty Quarter, which fans across into the Kingdom of Saudi Arabia and the Republic of Yemen. Two and three-day safaris can take visitors into the heart of Oman's vast desert region, including Shisr –confirmed to be the site of the Lost City of Ubar, once the nucleus of the Frankincense Trail. These days you no longer need to either be a trader on the caravan route or a leader of an Empire to access the rare and unique frankincense; rather a simple stroll to the local souk in Muscat, Nizwa or Salalah should be adequate enough. Or you can visit the UNESCO protected frankincense trail by hopping onto a plane to Salalah with regular flights out of Muscat, the nation's capital or from neighbouring Doha in Qatar with Qatar Airways. 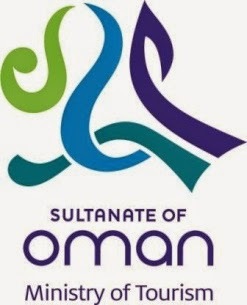 Visit www.tourismoman.com.au for more information regarding daily excursions and accommodation. Salalah in Dhofar is the birthplace of Oman's present ruler, His Majesty, Sultan Qaboos bin Said. Salalah is serviced by Oman Air from Muscat and features a number of moderate and deluxe accommodations. The economic Vision 2020 charter will see the quiet, integrated tourism development of Salalah, featuring five hotels from four to six stars, restaurants and upscale retail outlets along with an 18-hole golf course and a marina promenade. Salalah also serves as the base for visiting Rub Al Khali – The Empty Quarter - the desert region of Dhofar that fans into the southern region of the Kingdom of Saudi Arabia and the Republic of Yemen. The Dhofar region's topography is a composite of desert, coastal plains and jagged mountains. Dhofar is the only region in the Arabian Gulf to be affected by the southwest monsoon climate. There are four UNESCO sites in the Dhofar region. Dhofar nurtures Arabia's most revered antiquities including the Lost City of Ubar, Sumhuram and Al Balid. The Queen of Sheba, who ruled the kingdom of Yemen and Eritrea in the 10th century B.C, was known to have travelled to Dhofar to buy her frankincense. Her summer palace was reputed to have been built in the ancient city of Sumhuran, near present day Salalah. Dhofar's wooded valleys, creeks and lush vegetation offer sanctuary to over 186 species of birds.